Hawaii primarily grows wetland taro, or kalo in Hawaiian, in patches (lo`i) These patches are directly irrigated from rivers or streams, which is beneficial, because taro thrives best in aerated moving water. They can tolerate swampy or marshy conditions and a fair level of acidity. Best adapted in warm, moist, tropical environments. Dry land taro, though grown in Hawaii is more common in other parts of the Pacific space and grown in areas of high rainfall as they generally depend on natural precipitation. 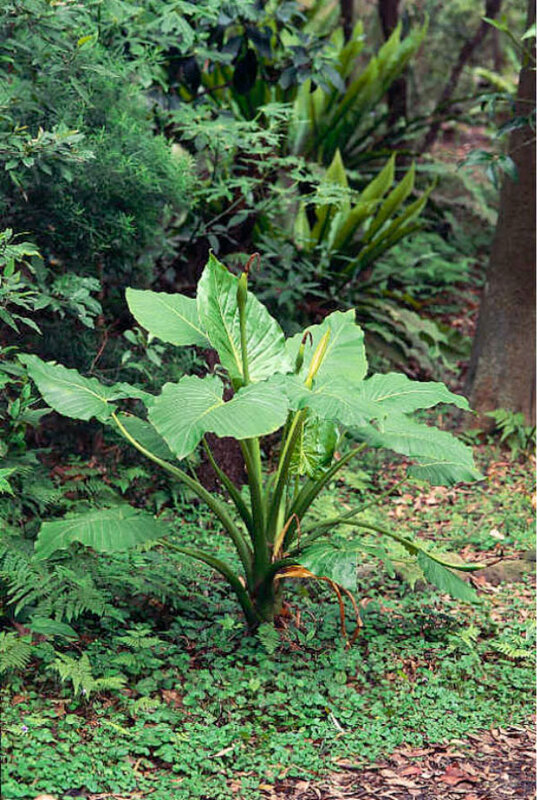 It can be cultivated in uplands as high as 4000 ft.
Hawaiians preferred taro over sweet potato as the mainstay of their diet, although taro required more time and labor to grow and was limited to better soils and locations with abundant water. As a food, taro was more versatile. Once cooked and pounded into pa`i `ai, it would keep almost indefinitely. In addition to being a starch food, taro was also taken as medicine and used in ritual. Within the community, it was the men only who cultivated taro and prepared it for eating, as they prepared all food for the family. Taro farming developed into a sophisticated system in Hawai`i. 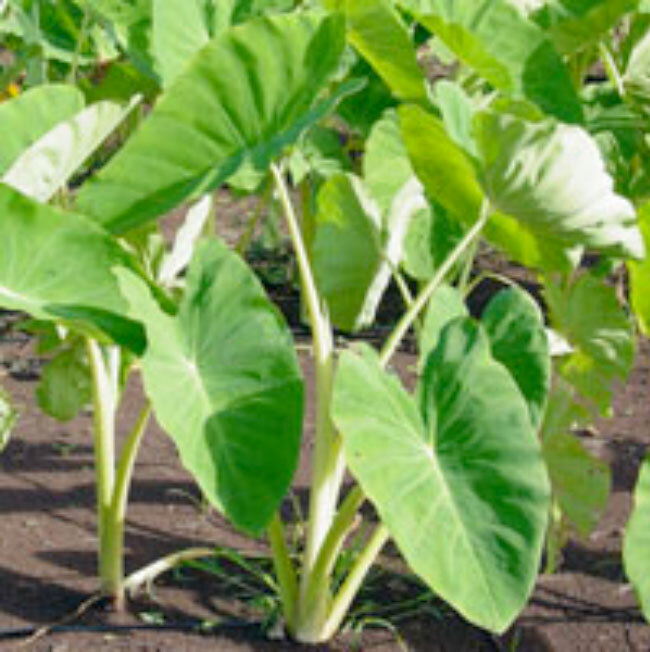 Hawaiian planters cultivated approximately 300 varieties of taro in ancient times, most of them distinguished by colors in different parts of the leaf and adapted to specific growing conditions and locales. Hawaiians grew both wet and dryland varieties, depending on a district’s conditions and climate.